My sister made these once and all kids fell in love with these crunchy ,but yet soft treats. Remove wrapper from caramel candies (you might ask your kids to help you with this procedure). Melt butter in a small sauce pan on low heat. Add caramels and cond. Milk. Stirring most of the time until caramels are melted. 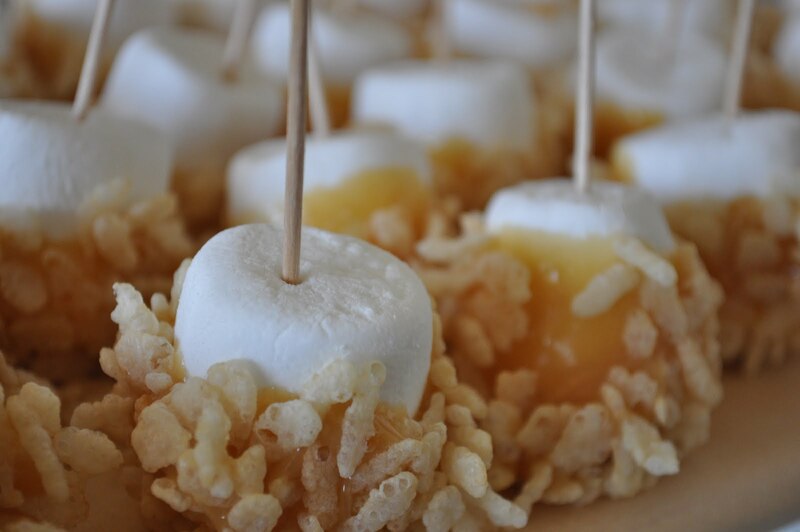 Using a toothpick dip the marshmallow in caramel and then quickly into cereal.repeat the procedure for the rest of the marshmallows. Oh my goodness! 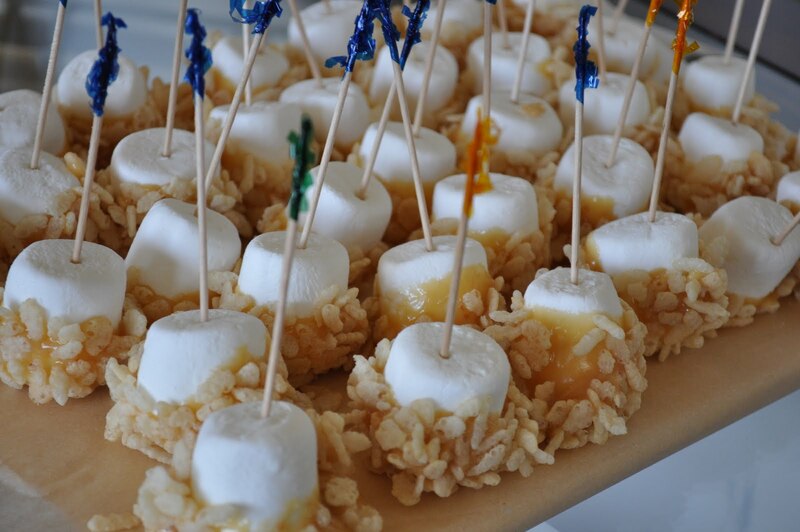 What a great take on rice krispie treats!